Honduras is in crisis, again. The national election took place on Nov. 26 with results posted that night showing the challenger Salvador Nasralla with a 5 percentage-point lead with 57 percent of the votes tallied. Then strange things began to happen. After midnight on election night, the Supreme Electoral Tribunal (TSE) stopped posting updates and effectively shut down for the next 36 hours. The TSE’s president, David Matamoros Batson, said the TSE had received 13,000 tally sheets but was missing 6,000 from the total. With just over 18,000 total, this does not quite add up. Then two hours later, Matamoros increased the number of missing tally sheets to 7,500. When updates resumed, mid-day last Tuesday, the results consistently favored the incumbent right-wing President Juan Orlando Hernandez. The opposition lead steadily diminished then disappeared. On Monday, more than a week after the election, the TSE announced results giving a narrow victory to the incumbent National Party President Juan Orlando Hernandez. As mass protests continue, the opposition has demanded a recount of all the tally sheets received after the TSE shutdown. The current National Party government derives from the 2009 military coup, which overthrew the moderately progressive President Manuel Zelaya supposedly because he simply considered the possibility of seeking a second term. When Zelaya was kidnapped in the 2009 coup, he was flown directly from Tegucigalpa to the U.S. government’s Palmerola Air Base just 48 miles from the capital. Four years later, in 2013, there was another presidential election, which included a new party: the Liberation and Refoundation Party known as LIBRE. This party represented popular forces, which supported Zelaya and his progressive policies — and emerged from the popular resistance to the coup. The party quickly surpassed the traditional Liberal Party and presented a serious challenge to Hernandez’s National Party even as international observers documented voter intimidation and other irregularities. Hernandez assumed the presidency on Jan. 27, 2014. (Ironically, despite the justification for ousting Zelaya – because he allegedly considered seeking a second term in defiance of the constitution – Hernandez’s path for reelection was cleared away by a contentious 2016 court ruling. Ahead of the 2017 election, LIBRE forged a broader coalition with two smaller parties to support Salvador Nasralla as their candidate. This political alliance took the name the Coalition Against the Dictatorship and former President Zelaya was head coordinator. Days before the recent Honduras election The Economist published a blockbuster article titled “Is Honduras Ruling Party Planning to Rig an Election?” reporting: “The Economist has obtained a recording that, if authentic, suggests the ruling party has plans to distort results in the upcoming election.” The two-hour recording is from a National Party training session. It details five tactics used to influence election results: buy the credentials of small party delegates who supervise the local polling place, surreptitiously allow National Party voters to vote more than once, spoil the votes for other candidates, damage the tally sheet which favors the opponent so it cannot be transmitted electronically to election headquarters – and expedite tally sheets favoring their party. Besides the reported rigging schemes in the field, the election referees were far from neutral. The Supreme Electoral Tribunal (TSE) is led by president David Matamoros Batson, who was previously Secretary General and a member of Congress for the National Party. 1 – TSE delayed posting results that favored the opposition candidate. In the 2013 election, TSE started posting the election results at 6:13 p.m. when just 24 percent of the total votes had been received. Those returns gave the National Party candidate Juan Orlando Hernandez a 5 percentage point lead. – Luis Zelaya (Liberal Party, no relation to ousted Manuel Zelaya) with 260,994 votes = 13.77% of total. Prior to the election, TSE expected to post the results from 70 percent of the electorate on election night, raising the question of whether the TSE was holding back more results. Honduras’ election procedure is to count and tally the paper ballots at each of the voting stations around the country. The tally sheet (‘acta’) is signed off by representatives from each party, then scanned and transmitted electronically to TSE headquarters where they are added to national totals and posted. 3 – TSE falsely reported the number of missing tally sheets. At 1:56 p.m., Matamoros announced that the TSE had received 13,000 of the total but are still missing 6,000 tally sheets (“actas”). “We have received 13,000 tallies from across the country ….. we are missing 6,000”. With a total of 18,100 tallies, the actual number missing should have been about 5,100. 4 – TSE officials gave contradictory results. The third-place Liberal Party candidate also recognized Nasralla as the winner and urged the National Party leader to concede defeat. The current situation calls into question the objectivity of the U.S. and Organization of American States (OAS). Will the U.S. and OAS issue token criticisms but ultimately rubber stamp this Honduras election despite the glaring problems? If so, it will highlight the double-standard as the U.S. and OAS have aggressively criticized Venezuelan elections and refused to acknowledge the results even after full recounts and verification. If opposition demands for a thorough examination of election procedures and voting tallies are not met, protests and repression may explode in Honduras. The majority of the Honduran people evidently want new leadership and voted for it. It appears that the voters’ desires were thwarted through a manipulated election process and transparent theft. 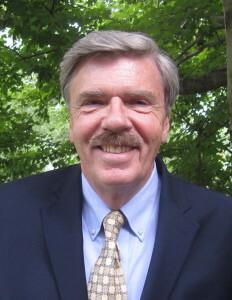 Rick Sterling is an investigative journalist who was an official election observer in the 2013 Honduras election. He can be contacted at rsterling1@gmail.com . 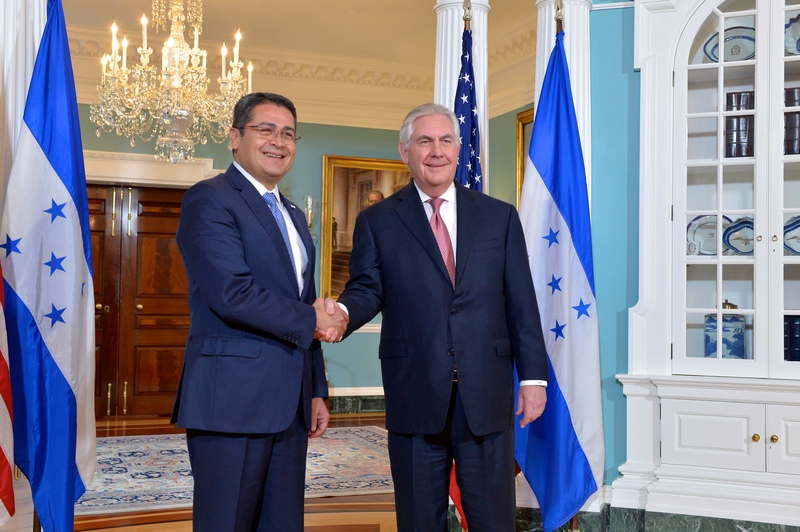 JUAN MANUEL HERNANDEZ – Is corrupt but since he is a US Ally he is fine – he will remain in power although the HONDURAN PEOPLE desire is to get him out – what a shame that US always meddles in other countries business. JOH is now a wealthy man from politics not from hard work. Unbelievable. You have probably read the good news from Honduras today that the police are refusing to crack down on protesters protesting the illegal election. Positive news for a change. Apparent or obvious .? Leave it to Mirriam-Webster’s Collegiate Dictionary to define what is what according to what. Ultimately, U.S. militarization in Latin America is an attempt to check militarily the rise of regional cooperation and independence. 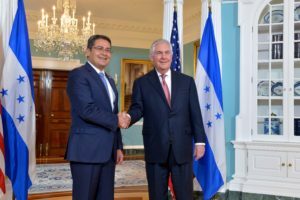 The development of ALBA, Unasur, PetroCaribe, and other multilateral institutions not controlled by the U.S. has alarmed many in Washington who see their former “backyard” slipping out of their grasp. And so, the U.S. has moved to block this development with military force. The regional component is also critical to the U.S. militarization agenda. Washington wants to block any further integration, while also checking the growing influence of China and other non-western actors who are increasingly penetrating the region through investments. Essentially, the U.S. is doing in the Americas, what it is doing in Africa, the Middle East, and the Asia-Pacific regions: using its military to block independent development. Perhaps this is an unavoidable part of imperialism. Perhaps it is indicative of an Empire’s waning influence and its desperate attempt to recapture lost spheres of influence. However one interprets its motives, the U.S. is unmistakably consolidating its military power in Latin America. Whether this allows the Empire to reassert control, or is simply a doomed attempt at reestablishing hegemony, only time will tell. Honduras has been the Nexus of USA terrorists , Contras, and death squad training by USA death squad forces for decades. Who else could it be ? This story begins with a US government lie. 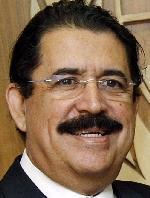 Manual Zelaya, president of Honduras was not going to run for president and was due to step down on about six weeks. He was going to ask the voters if they wished to change the constitution. It is possible a constitutional convention might have changed things so presidents could be in office more than one term. It is also possible that the impending US constitutional convention will recognize corporate crimes against the environment as crimes against Earth and go after executives who plunder the planet for profit regardless of what it does to people’s health and well being. A nice thought, that US democracy might be restructured by a constitutional convention to better protect elections and mass media from the rich, to prohibit secret wars, to provide better checks and balances, etc. But of course now that the US government and mass media are completely corrupt, there is no hope that it could set up such a convention without carefully destroying what is left of our ruined democracy. Such a convention could only be held after the oligarchy of the rich is deposed. 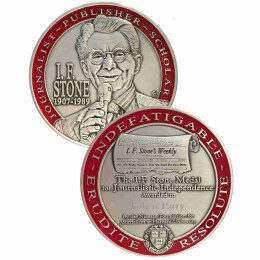 Thank you Mr.Sterling for shining light on yet another example of US support for tyrants. The silence from the MSM is deafening, as usual. I urge anyone who hasn’t already to read John Perkins’ “Confessions of an Economic Hit Man.” We need to break our intelligence agencies into 1000 pieces, as JFK desired. It is our only hope for peace and justice. Conservatives think they are moral. And Liberals think they empathize. Just hypocrites willing to help their masters keep people down. The mere inclusion of Juan Robando renders this election unconstitutional. The Constitution provides for only one term as president. Hernandez is setting himself up to be a dictator. This is what’s happening right before our eyes. We supported the coup in Honduras, because it was going to be handed over to an elitist government which would allow taking over land for corporate interests, while it displaced people from their homes. It was directly responsible for the death of environmental activists like Bertha Cáceres who before her murder blamed Hillary Clinton for legitimizing the coup. Installed was a militarized regime based on repression, and under pressure from Washington, passed terrorist and intelligence laws that criminalized political protests. Hundreds of people were killed as a result. So much for a more civilized Clinton then a Trump, as one writer spoke of her on this site. Gee, I said hundreds when I meant thousands. I wish Mr. Sterling had put a more human face on the coup in 2009 that ousted Zelaya, and what followed, so one could understand the full ramifications of what this meant for the people of Honduras. Yes, if the US had any good intentions in other nations inclined to some socialism, it would assist them and advise where they might stray into less effective structures that would interfere with productivity incentives etc. But the USG and its rich masters have no interest in the welfare of any people, least of all those of the US, unless they are rich. So instead they attack to struggling poor with secret wars, install dictators, and claim to be promoting democracy. When I here them talk about spreading democracy and intervening in a nation’s affairs under the guise of promoting democracy or dealing with abuses, as they did most recently in Libya I could scream. After WWII we have interfered in multiple countries throughout the world and are responsible directly, and indirectly for the deaths of over 6 million people, and none of it was about spreading democracy. Honduras has been hurt for years by many of the foreign policy that the USA administer to this and other Central American countries, it is very simple there is a big lack of understanding political candidates that are good for the country and the development of this country it seems to me that the support that the USA give to the wrong candidates is all done with a dark evil purpose so that this countries stay poor and filled with narco traffic and crime, we have seen in the past how the CIA rule and manipulate narco countries on their favor… none of this money that is given to the government of Honduras by the USA has been of any help to the Honduran people because it all goes to the pockets and banks accounts of the presidents and his alias… so why the USA continues to give money to them? We all know the actual president is a narco, his brother is in jail for narcotraffic and other members of his family are suspected of same crime… the top army officials are also narco traficantes, Honduras is such a corrupt country but managed by a very small percentage of political and business owners and 90% are just poor ignorant uneducated citizens that struggle to survive everyday. You have to be a Honduran to understand Honduras. Wrong US foreign policies are bad for other countries and for the USA because some day this mistakes will back fire, all this countries could become potential enemies with plenty of hate a very well deserved hate. This report could probably be rewritten with changes of names and places for so many other countries whose natural resources are coveted by our multinationals who willingly side with right wing wealthy families to run roughshod over indigenous people, their land, their water, their rights, while our “democratic” leaders aide and abet the crimes. 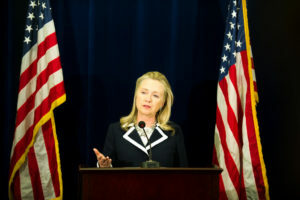 Hillary Clinton dismissed her decision, with support from Barack Obama and Joe Biden, to support the coup, calling it another of her HARD CHOICES. If Obama/Biden/Clinton had called it a military coup, which it was, according to U.S. law, military aide would have been suspended, likely ending the coup. She was begged by Zelaya to declare it but refused. I can’t help but feel this country is getting what it deserves with Trump. The majority of the US population has been totally indifferent to the suffering US foreign policy causes to so many millions around the world. The Obama worshipers I know are all despairing over what Trump is doing to their “democracy”. They are so self absorbed they have no idea that what Trump is doing is what both parties have done to people around the world since WWl. Not so easy to be indifferent now. Yes, it is early blowback, as therapeutic as ironic, and a herald of things to come, ever more swiftly. More terrible and greater things to come, apparently Trump has called Abbas and informed him that Washington will be moving it’s embassy to Jerusalem. It seems these guys are truly hot for a nuclear winter. Chief Zionut Baniman Niwityahu said “that such a move would contribute to the Israeli-Palestinian peace process by ‘shattering the Palestinian fantasy that Jerusalem is not the capital of Israel.” Quote from the article linked above. That he uses the word “shattering” when speaking about a people’s will to carry on, and he mocks their plight with the idea that if they would ‘just crawl into a hole and die’ it would contribute to the Israeli-Palestinian peace process. Yes!, It seems like Trump is the sorry end game of where we’ve been heading all along. The Republicans and NEOliberal Democrats have pursued unsustainable ruthless foreign policies and Americans have accepted being kept in the dark. Coopted, I guess, into believing at a semi conscious level? that the ruthless aggression going on in their name is ‘justified” or “necessary”. But the nasty end game eventually turned against Americans themselves with the dismantling of the New Deal, unfair trade policies, predatory banking, predatory student loan schemes, predatory housing schemes, for profit prisons, and other schemes to skim maybe up to 30% off the labor of working people. My major was economics, and it was a big surprise for me to watch this interview the other day of Professor Richard Wolff on how our economy COULD work for average working people – it is currently working in parts of Europe and even here. Jeremy Corbin supports it according to Wolff. I’ll post a link in the next comment. Wolff recounts how devastating the current economic system is and how a democratic, participatory, collaborative, bottom up economy could work. It was a surprise to me what Wolff’s field of study is because of how neatly it dovetails, IMO, with a well functioning democratic capitalist economy even though his expertise is in Marx’s writings – which are way too difficult and dense for me to follow….. 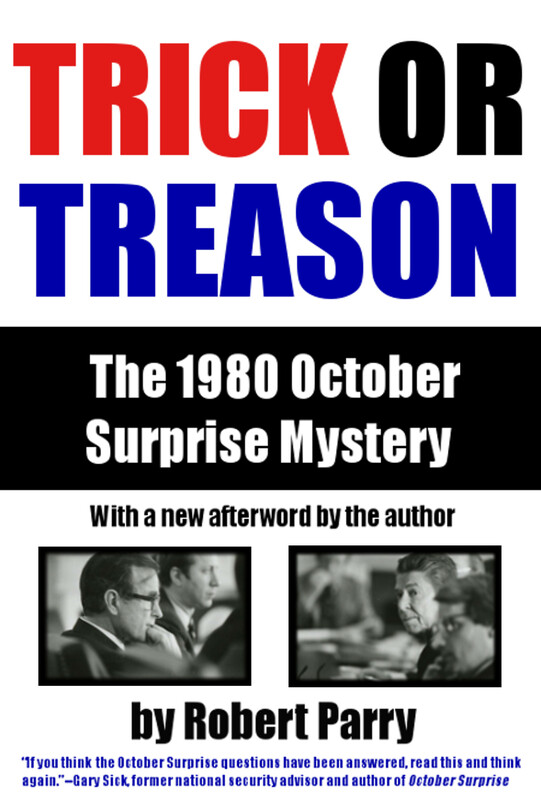 It was a surprise because if this is really based on Marx’s thinking it is far removed from the top down, corrupt, Soviet system that our politicians are terrified of and far removed from this country’s Cold War hysteria and far removed from the Joe McCarthy hysteria….it is a system where, instead of a self serving boards of directors make decisions on behalf of hundreds of thousands of people, it is working people who make business decisions that correlate with their values of a clean environment, fair pay structure, etc. and the managers are hired and fired by them. It’s been functioning well in Basque country according to Wolff. And other places around the world and seems to function pretty well and limits salary differences to less than 10% variation instead of 100’s of % as occur here today. Professor Richard Wolff’s economic analysis pf why things have gone so wrong and how they could work better for the people of this country with a bottom up economy. Interesting, Evelyn: the video has been “removed by user”—whatever that means. H orchestrated the coup through her henchman Lonney. Berta Caesaras was murdered by USA trained soldiers 2 weeks after Berta declared publicly that H had caused the Honduras coup. Yes, a tragic outcome for the courageous environmental activist Berta Caceras, not long after winning the Goldman Prize for the environment and traveling to SF, CA to accept the prize. It’s horrific. Americans are totally ignorant, IMO, of what Clinton has done. What they acquiesce to. Or do they know and just don’t care? When the evil bastards who rule our government pretend to have respect for the law, it is truly disgusting. To show even a shred of trust or respect towards these monsters only enables them to violate you and all others more easily. The U.S. can’t keep their nose out of other countries’ elections whether done right or not. It doesn’t matter who is President here at the time. Clinton and the last President were just as destructive as the W./Cheney thieves. Yes, the US has long sabotaged democracy everywhere, because US policy now consists entirely of secret wars, and the secret agencies are controlled by the rich oligarchs who control US elections and mass media. The rich have destroyed democracy in the US; they are truly traitors, the worst enemies the US has ever had. Without the tools of democracy controlled by the rich, the people cannot restore democracy without unprecedented cost in blood and treasure. These tyrants hear and speak no language but force: they are never persuaded, but instead must be terrorized by the poor. History will not be kind to the corrupted US. We will have cause for hope only when militias of the poor begin destroying mass media facilities and gated communities. But that will be generations in the future. Until then, Honduras and all other victims of the US must organize and completely isolate the US economically, to chain the tyrant.